December 2008 I moved into the house which had seen the previous tenants move out due to the paranormal disturbances they had experienced. The matriarch felt harassed by a shadow figure who (when present) could alter the temperature and whose stench was of rotting flesh. I had the opportunity to meet them the day I moved in. Many nightmares later we called it a truce, the spirits and I, but they sometimes forget to be polite and will often switch the television on/off, and switch my laptop on in the middle of the night. Two friends and my parents have witnessed the TV being fired-up. Strangers will often feel as though they must leave immediately and pets often fall into a sudden deep sleep. Steve set up the Ghost Box to scan the FM radio bandwidth and we asked questions to see if we could get a response from the resident ghost or any other spirits present, then we also tried the AM radio bandwidth. 2. (AM bandwidth) Janine asks, “Do you think we’re stupid?” which is followed very quickly by a male voice saying, “Fool”, followed by people in the room repeating the word, just confirming what we all heard. 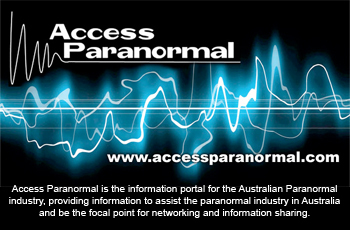 For the past year I have been switching the power off to the TV from the powerpoint itself, so that I am not disturbed in the middle of the night, so I cannot verify whether this has improved since the paranormal investigation. They are however, still switching on my laptop. Even this morning (8/2/2012) it was on, waiting for me, who knows how long?